Today is adventurous day with long day hike so we get up early in the morning and head to Kangla pass. From pass we can see the Annapurna massif. We further trek down to Ngawal from there. We head for Manang today. We pass through the isolated village of Paugh overlooking the amazing views of Annapurna range. Then move gently uphill to Mungi to the main trail of Annapurna Circuit at Mungi. We eventually reach Manang. 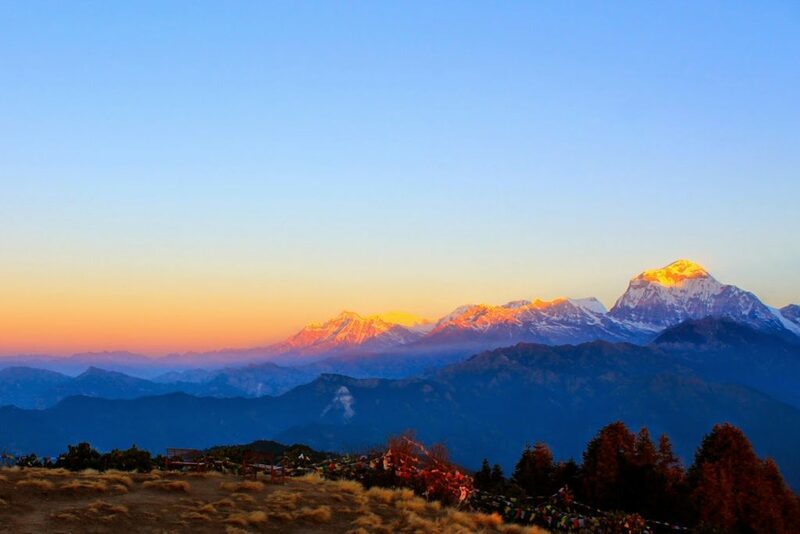 fter breakfast, you say goodbye to the beautiful lake city of Pokhara and drive towards Kathmandu. On the way we will visit to most historical and spiritual attraction in Kathmandu which is also listed as UNESCO World Heritage sites. The famous ‘Monkey Temple’ (Swayambhunath) then continue drive to hotel. In the evening, there will be a welcome dinner, you will be served authentic Nepalese cuisine which will introduce you to the country’s food culture.